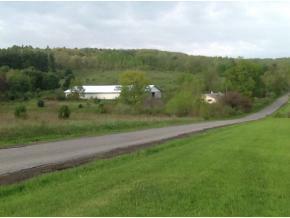 23 BEAUTIFUL ACRES-VALUE IS IN THE LAND- Bring your ideas! PASTURE, OPEN & WOODED. Amish built barn 65X160 large enough for indoor horse-riding arena w/ 16' doors & high ceilings, great for construction equipment. The 2 bed ranch with scenic views, solid but needs work. Priced below assessment- bring your tools & brushes..so much potential! W A Olmsted Elementary School Pre-School, Elementary School / Public 2 2.33 mi. Harpursville Junior Senior High School Middle School, High School / Public 4 2.33 mi. A F Palmer Elementary School / Windsor Central Middle School * Pre-School, Elementary School, Middle School / Public 7 6.38 mi. C R Weeks Elementary School * Pre-School, Elementary School / Public 6 7.63 mi. Afton Junior Senior High School * Middle School, High School / Public 3 7.99 mi. Windsor Central High School * High School / Public 7 7.54 mi. 259 Hurd Road, Harpursville, NY 13787 is a 2 bedroom, 2.5 bath single family home was sold for $130,000.